Understanding the results can be tricky, especially when you see terms like ppm, mg/L, ppb, µ/L that you may not recognize. Water tests generally list the concentration of most minerals in parts per million. Pesticides and other chemicals aren't usually found at concentrations as high as parts per million, so they're listed in parts per billion or micrograms per liter. Compounds other than minerals or pesticides may be listed in other forms of measurement - water hardness is noted as grains per gallon, the corrosion index says if water is corrosive or not corrosive, bacteria may be listed as positive or negative. While these comparisons emphasize how small the amounts being measured are, keep in mind that cumulative exposure over the long-term to even small amounts of a contaminant may be of concern. For more information on testing your well water or interpreting your test results, visit wellowner.org/water-quality/water-testing. Duane Eversoll, retired Associate Director of the University of Nebraska Conservation and Survey Division and Professor Emeritus in the School of Natural Resources, has been selected to receive the 2018 Maurice Kremer Groundwater Achievement Award from the Groundwater Foundation. Eversoll will be presented with the award at the Maurice Kremer Memorial Lecture on February 27, 2019 at 3:30 p.m. in the Hardin Hall Auditorium (room 107) on the University of Nebraska-Lincoln East Campus (33rd and Holdrege Streets, Lincoln). Light refreshments will be served at 3:00 p.m. 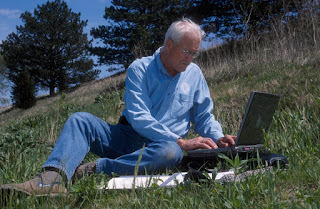 The Kremer Award is presented annually by the Groundwater Foundation to an outstanding Nebraskan who has made a substantive contribution to the conservation and protection of Nebraska’s groundwater. The Groundwater Foundation is a nonprofit organization based in Lincoln, Nebraska with a mission to educate people and inspire action to ensure sustainable, clean groundwater for future generations. 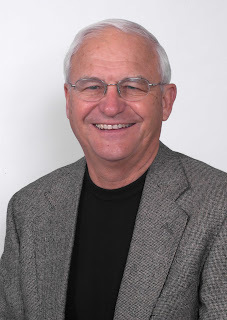 Eversoll is a native of Grand Island, Nebraska and graduated from the University of Nebraska-Lincoln in 1958 with a degree in Geology. After working in the oil and gas industry for Continental Oil in Oklahoma, he returned to Nebraska and joined the Nebraska Department of Roads as a geologist. There he was instrumental in the design and development of water well and septic systems at rest stops in the state, while working with water well contractors on the professional design of a complete water well system. Eversoll joined the University of Nebraska’s Conservation and Survey Division (CSD) in 1974. When the Nebraska Water Well Licensing Board was formed in 1984, Eversoll was appointed to the board to represent CSD. He became Associate Director in 1989. He provides expertise to citizens and companies in locating private water wells and encouraging designs that not only meet legal requirements, but also protect groundwater. He also leads geological seminars and field trips to provide continuing education about geology and hydrogeology of Nebraska for water well professionals. Find out more about the Kremer Award. 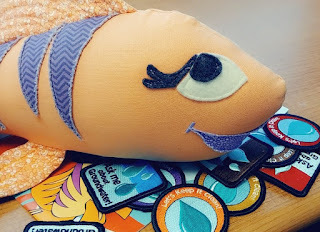 As Groundwater Awareness Week gets closer, Frannie wants to share a fun game you can play that helps you learn about the importance of recycling! Did you know that recycling helps protect groundwater? Recycling creates new products from old items, this means less water is used making new products. Aluminum can, notebook paper, paper egg carton, paper grocery bag, telephone book, glass jar, plastic soda bottle, steel soup can, newspaper, plastic milk jug. Apple core, banana peel, coffee grounds, leaves, grass clippings, dead flowers, potato peels, water, worms, pumpkin seeds. Disposable diaper, used dental floss, used bandage, rubber band, fast food wrappers, cling wrap, wet paper, old sock, paper clip, buttons. 2. 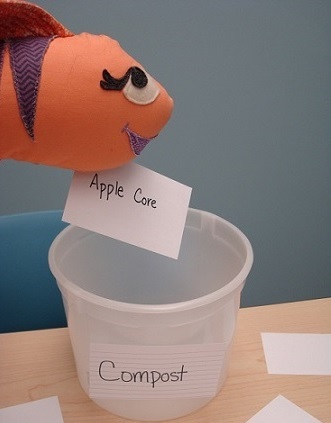 Now label one bucket "Compost," the second "Recycle," and the third "Landfill." 3. Find a large open area and set the three buckets on one end in a row. Randomly scatter all the cards, face down, in the area in front of the buckets. 1. Divide your friends into three teams. 2. Give one team the title of Compost, the second Recycle, and the third Landfill. The team should elect one member of their team to stand behind their corresponding bucket. This person will act as the final judge and can be the only person to drop the cards into the labeled bucket. 3. At the sound of the whistle, you will have five minutes to go through the cards. Each person may pick up one card at a time and read the back. If they think the item corresponds to their team, they hand the card to the judge behind the bucket. The judge decides if the item is correct and puts it in the bucket. If the item is incorrect, the judge hands it back to the person who gave the card to them and they return the card to the table or floor, face down. 4. At the end of the time period, the team that has the most correct items in their bucket is declared the winner. Share pictures of you and your friends playing Recycle Roundup here. Fostering the next generation of groundwater industry professionals is an important part of the work we do at the Groundwater Foundation. Now there are two Groundwater Foundation scholarship programs are available to help students pursuing careers in the groundwater industry. Scholarships are for full-time students only (including high school seniors who are applying for scholarships to be used in their first quarter or semester of post-secondary study). Scholarship amounts are dependent on available funds annually. The application period for the Len Assante Scholarship Program opens February 1, 2019 and all applications must be submitted by April 15, 2019. Find the downloadable scholarship application form and information on the Groundwater Foundation’s website. Farvolden Scholarships are made in memory of Robert Farvolden of the University of Waterloo and former National Ground Water Association Director of Science and Technology. 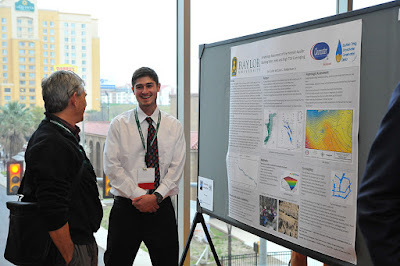 Farvolden Scholarships are made possible by support from S.S. Papadopulos & Associates, Inc.
Farvolden Scholarships are for full-time students that submit an abstract for a poster/platform presentation at NGWA’s Groundwater Week Summit. All such students whose abstracts are accepted for presentation will be evaluated at the event by two or more judges. The four students with the highest scores will receive the Farvolden Scholarships. Four $500 Farvolden Scholarships are awarded annually. 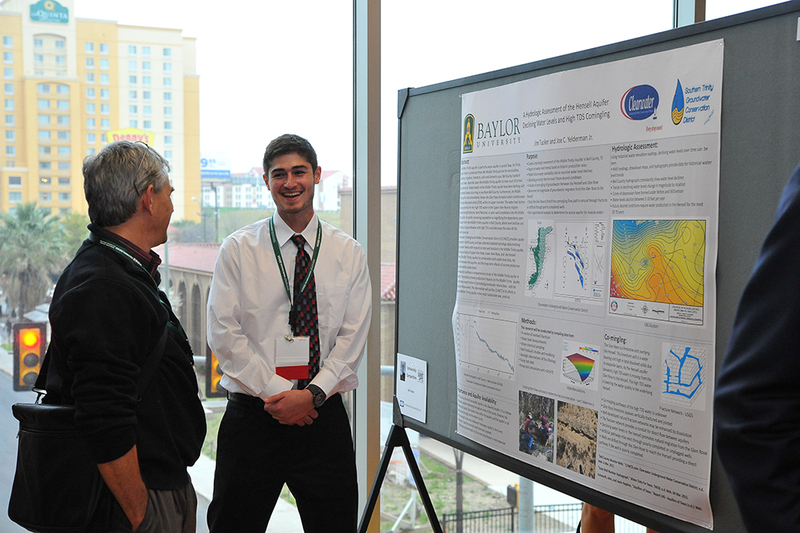 To apply, submit a poster session proposal by April 21, 2019. If you have any questions about either the Len Assante Scholarship Program or Farvolden Scholarship Program, please contact the Groundwater Foundation at 402-434-2740 or email info@groundwater.org. 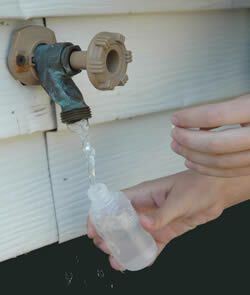 National Groundwater Awareness Week is coming up next month, March 11-16th. 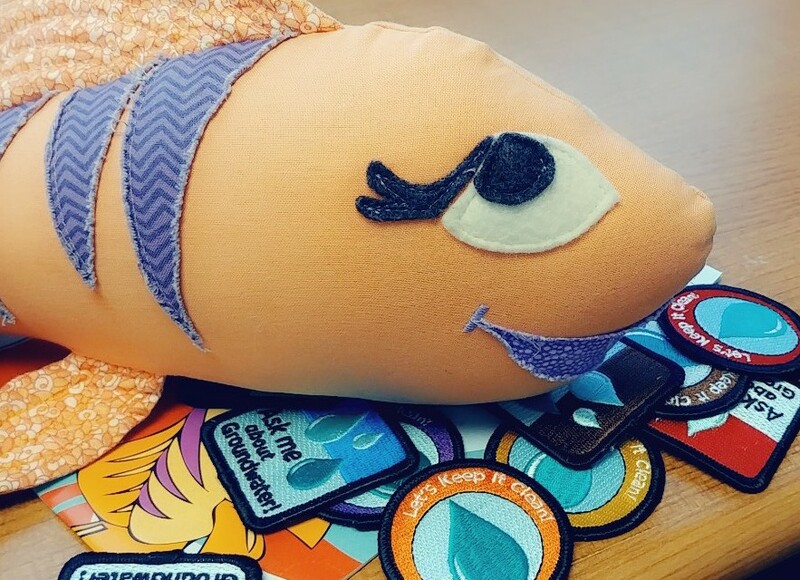 One way Girl Scout troops can celebrate is by earning the Girl Scout Groundwater Patches! There are patches and guide books for every grade level so you can keep learning more about groundwater, the water we drink and the water that grows our food. 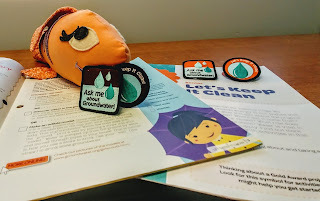 To earn your “Ask Me About Groundwater” patch, all you need to do is complete two activities from different steps within the booklet. These steps can include anything from upcycled crafts to meeting with water professionals or even conducting your own experiments. Seem too easy? Show everyone that you’re a groundwater expert by completing more activities listed in the book and earn the “Let’s Keep It Clean” patch! Girl Scout Troop 20605 from the Spirit of Nebraska Council earned their Brownie level groundwater patches while exploring the “WOW! : Wonders of Water” Journey. You can read more about their story or start your own water journey by finding your patch booklet on the Groundwater Foundation's website! Don't forget to share your progress with Frannie on Facebook, Twitter, and Instagram. Good luck! Nearly 74,000 households now have the opportunity to divert compostable materials from the landfill to a Boise City owned composting facility! The residential compost collection program was initiated nearly two years ago based upon recommendations from a citizen’s advisory committee to reduce wastes sent to the landfill. The idea took flight when the Ada County Landfill completed a year-long study of waste disposed in the landfill. The city discovered that nearly 46% of all residential wastes placed into the landfill were compostable materials. Realizing that nearly half of our residential wastes could be diverted and used to make a valuable product created the momentum needed to begin discussions to develop a city-wide compost program. Collecting compostable materials is easy – the issue was having a site to conduct the composting process. For many years, the city had hoped the private sector would develop a regional compost facility, however with the amount of dairy wastes in the area, a residential compost facility was not seen as a high investment priority. Ultimately, the city and our franchised hauler, Republic Services agreed to partner to design, build and operate a composting facility on city-owned property. The ideal site was found on a portion of the city’s Twenty-Mile South Farm which is used to manage biosolids. The selected location is not ideal for farming – due to basalt outcrops and rocky ground. However, the site was perfect for composting. 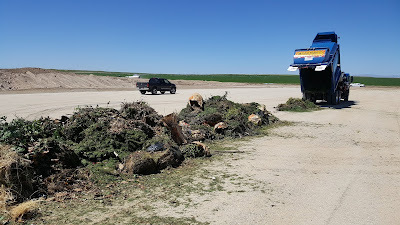 About 40 acres have been dedicated to the composting facility which includes a scale, office, receiving and windrow pads. The design incorporates extensive storm water and compost leachate management to protect groundwater. A monitoring plan was also required as part of the site permitting process with the Idaho Department of Environmental Quality and Central District Health Department. The design and permitting process for the new compost site was nearly 9 months long and required three major revisions to the compost siting application with the Idaho DEQ. Construction of the facility started in April 2017 and will be completed in August. On June 5, 2017 we began delivery of nearly 74,000 wheeled carts to collect the compostable materials and the full cart roll-out was completed July 15th. The first phase of the compost pad opened June 22, 2017 and by July 17 we have already collected and are composting about 1400 tons of yard wastes and kitchen scraps. The site was designed for about 95 tons per day and we expected to begin with 45 tons per day – we have already seen the results exceed our projections with nearly 66 tons per day collected in the first five weeks of the new program. And, we have reduced trash routes to the landfill by two trucks per day. The compost process takes about 100 days and the city intends to give back to our customers first – providing free compost and using compost on city properties. Our high-desert soils will benefit from incorporating compost which improves soil and plant health and, most importantly, acts as a sponge to retain water which reduces the need for frequent irrigation during our hot summer months. 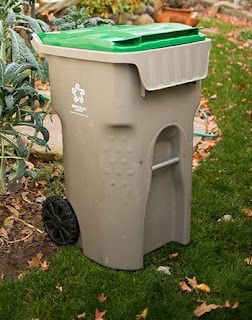 Boise residents are supportive and excited about the new composting program – and their commitment to protecting and conserving our great quality of life is evident in their participation in the new program and the low levels of contamination in the compost carts. Reducing wastes and conserving resources is one of our core values in creating a lasting environment for today and for future generations of citizens in our city. To learn more, visit www.curbitboise.org.